I recently checked off another box on my GCM to-eat list. The Oyster Gourmet is the work of maitre écailler (seafood specialist, basically) Christophe Happillon, a native of Southern France who was trained at the Lycée de la Mer Paul Bousquet in Sète. 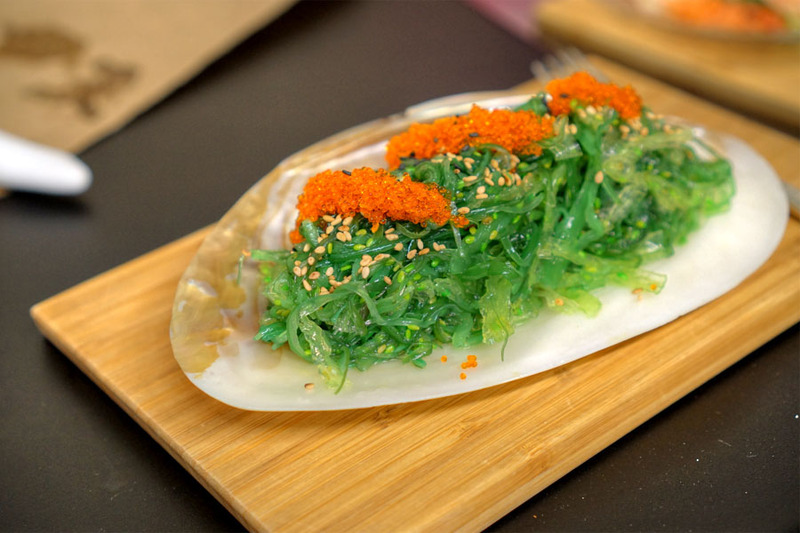 After starting a smoked salmon business, he moved to the US in 1994 and eventually made a name for himself through his raw bar catering business, oyster pop-ups nights, and farmers' markets appearances. 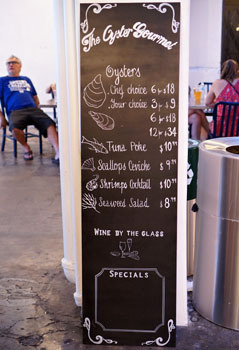 Things culminated with the debut of the Los Angeles Design Group-penned Oyster Gourmet kiosk in October 2014. 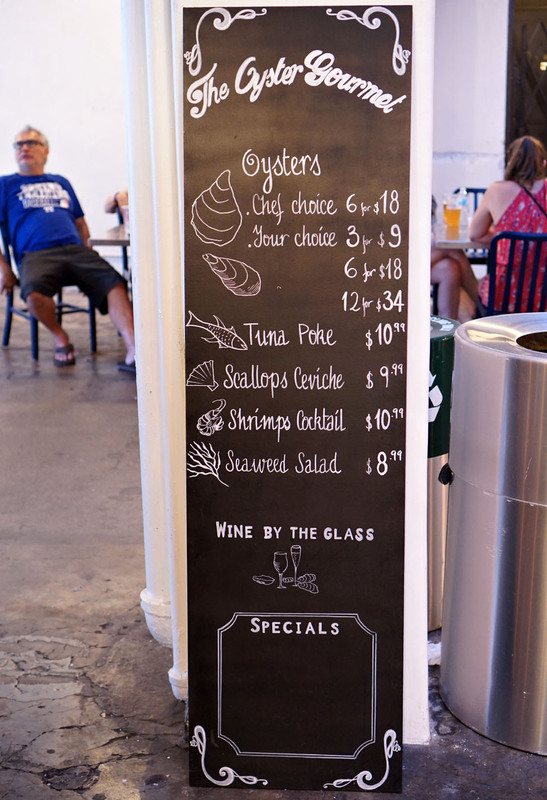 The menu is on the compact side, anchored by oysters of course, with a few additional raw seafood preps to boot. Drink-wise, there's a small, French-leaning wine list if you'd like. Click for larger versions. Given how small the menu is, we ended up just getting one of everything. 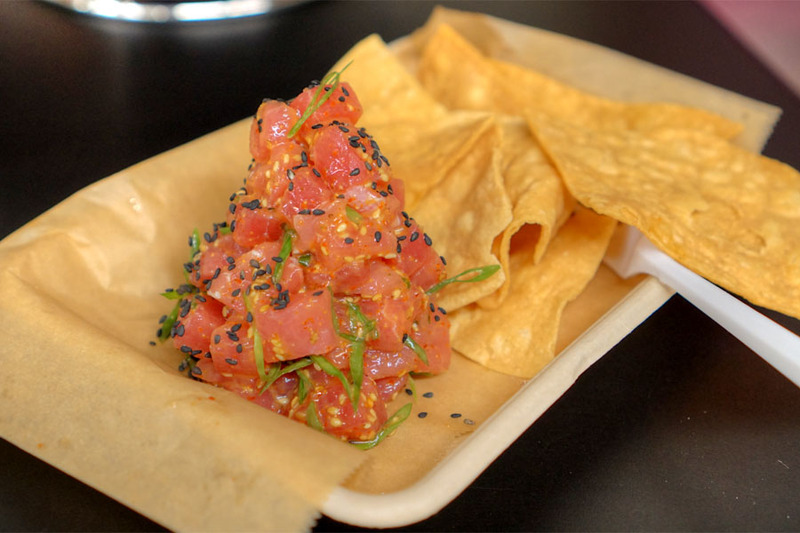 Poke is all the rage these days, and Oyster Gourmet's was a solid example of such with its soft, clean, lean cubes of tuna enriched with soy and sesame. 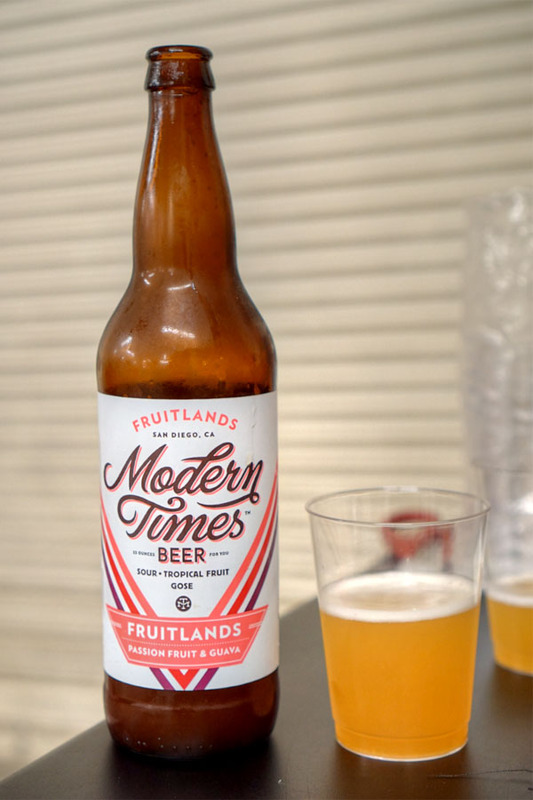 For our first beer, we went with something light, the 2016 Modern Times Fruitlands Passion Fruit & Guava, a fruited gose. Lots of bright fruit on the nose with a mild saline character. The taste followed, with more tart, tropical notes and hints of salt--hugely refreshing. Sol Azul, Baja California - The biggest of the bunch: creamy yet meaty to the bite, with a very full brine and an almost earthy character. Barron Point, Washington - More balanced and slightly sweet, with a sharper salinity. Fanny Bay, British Columbia - The easiest to eat thanks to their relatively subdued brine. 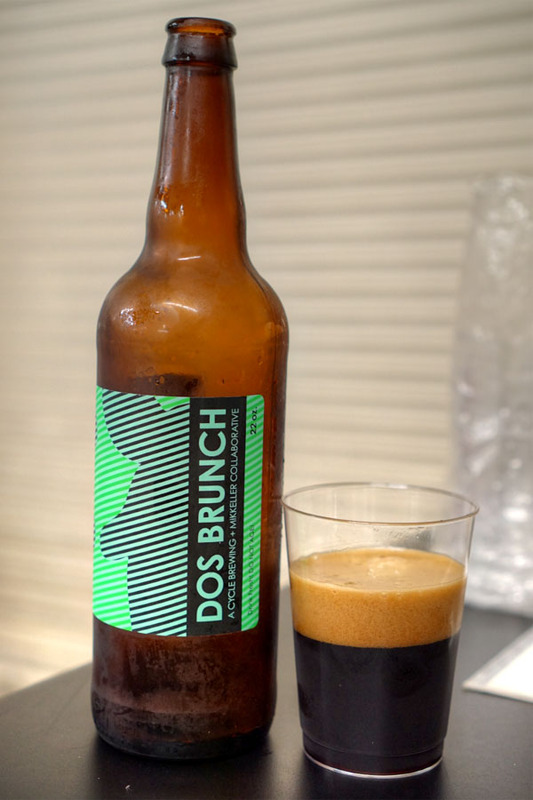 Next to drink was the 2016 Cycle DOS Brunch, released back in May for this year's American Craft Beer Week. A collaboration between Cycle and Mikkeller, this was a whiskey barrel-aged stout finished with kopi luwak coffee from Mostra. I found it super aromatic and teeming with fruity coffee on the nose, while the taste brought more of the same, along with deeper, richer notes of ripe, dark fruit and chocolate. No doubt one of the fruitiest coffee beers I've had. 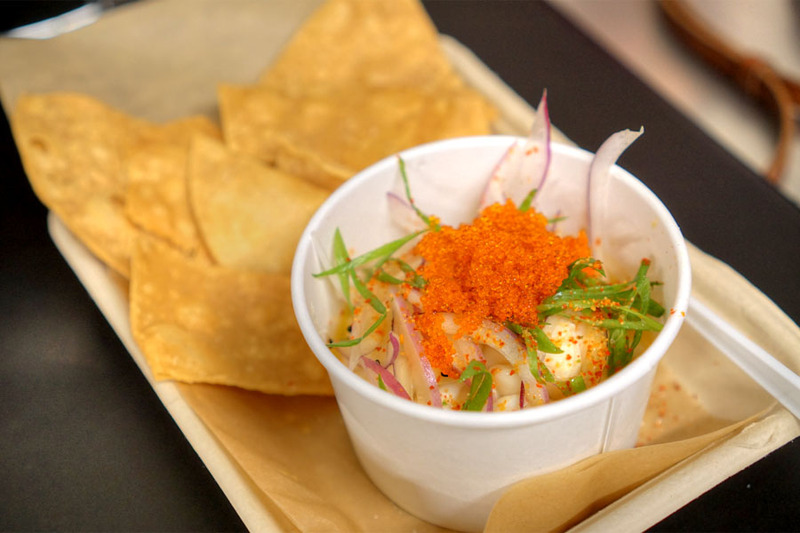 The ceviche was enjoyable too, the zippiness of the onions really working to offset the oceany notes of the scallops. Even better when taken with the included tortilla chips. 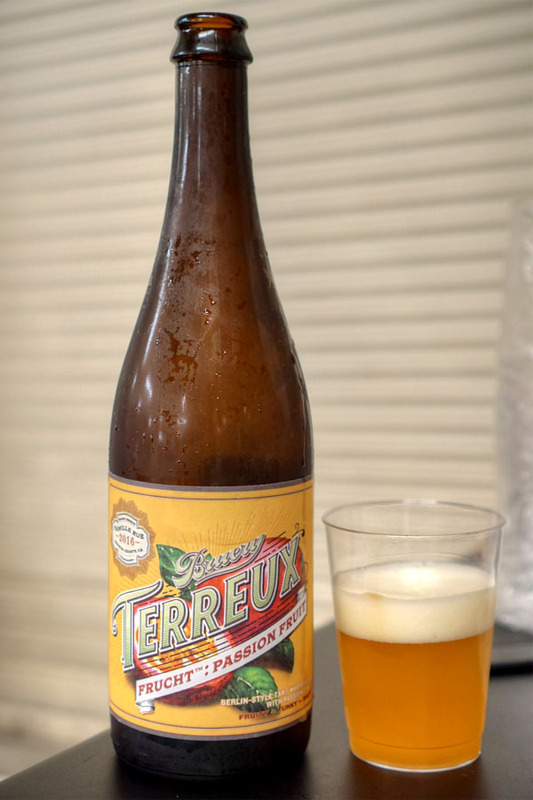 Going back to something lighter, we had here an oak-fermented Berliner Weisse, the 2016 Bruery Terreux Frucht: Passion Fruit. Unsurprisingly, I smelled loads of rich, tart passion fruit. Taste-wise, think sour, bright, with tropical fruit giving way to notes of oak and wheat on the back end. A great summer quaffer. 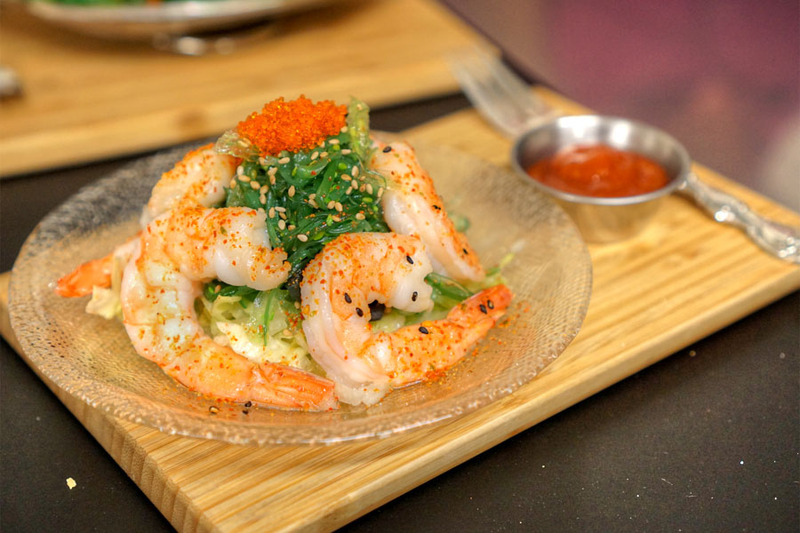 A seaweed salad was on point, coming out light and crunchy, with the sesame adding the right amount of oomph. 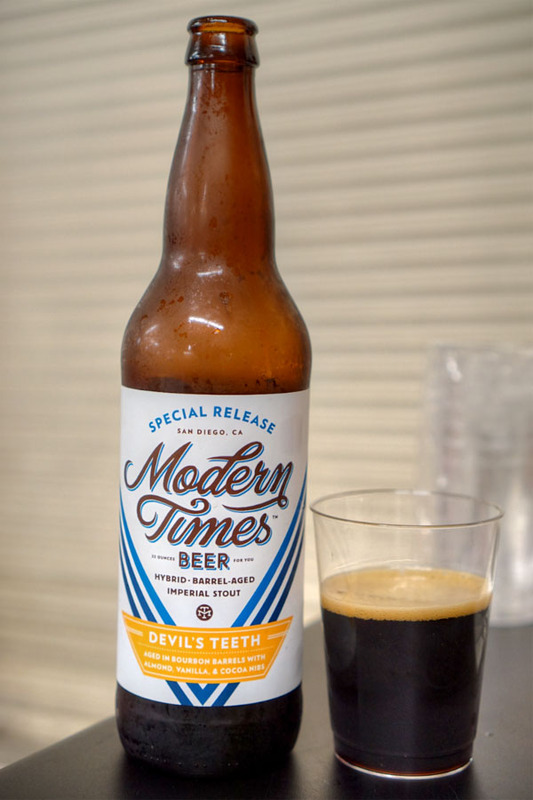 The 2016 Modern Times Devil's Teeth aged in Bourbon Barrels with Almond, Vanilla & Cocoa Nibs is described as a hybrid of an old ale and an imperial stout. On the nose, think sweet, chocolatey, malty, nutty. On the palate, more of the same, the chocolate coming in stronger, joined midway by almond, with aromatic vanilla layered on top. Shrimp arrived well-textured and delicate-tasting. Very nice alone, but improved with a dab of that zippy cocktail sauce. 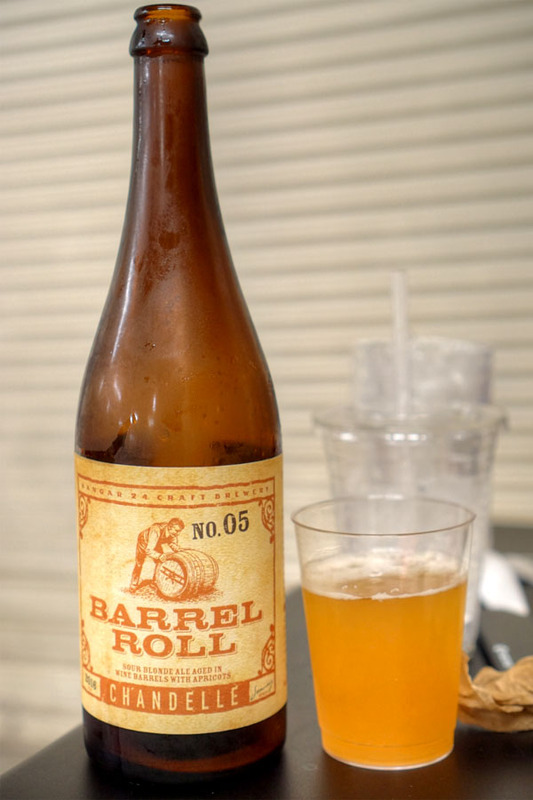 Last to drink was the 2016 Hangar 24 Barrel Roll No. 5 Chandelle, a white wine barrel-aged sour blonde with local Blossom Bluff Orchards apricots. This was earthy to the smell with strong stone fruit mixed in. In terms of taste, I found it super tart, acidic at first, with more funky, oaky notes coming in later, the beer finishing with a healthy dose of apricot. 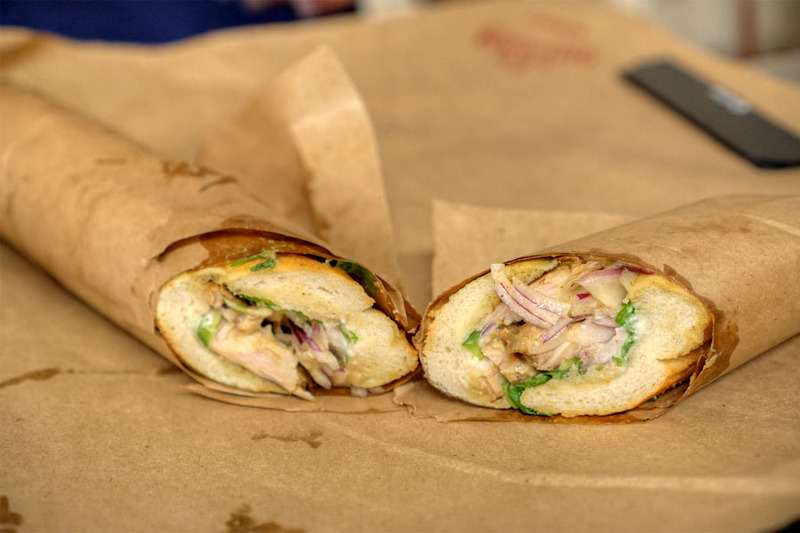 We finished with a sandwich from the new Bar Moruno. This one definitely hit the spot thanks to its marriage of tender, well-charred chicken and bright acidity from the various veggies. I'll have to return sometime for a proper visit. 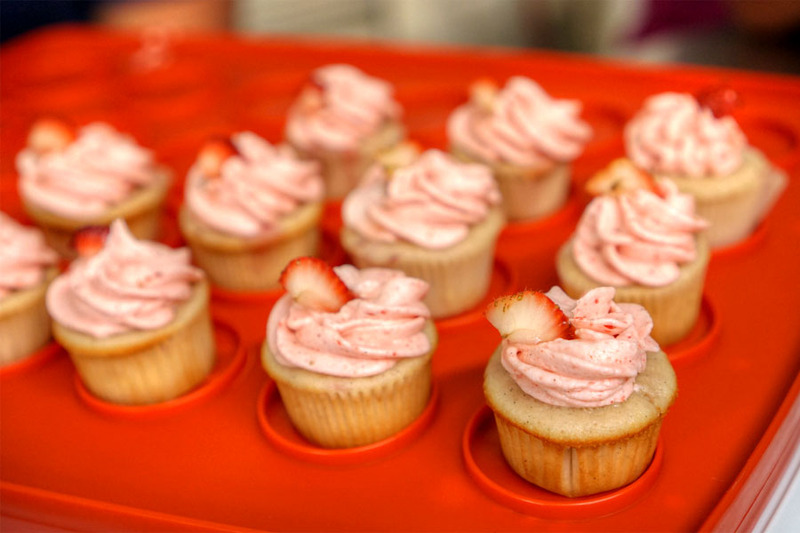 For dessert: homemade mini strawberry cupcakes (left over from a previous function). The Oyster Gourmet's a pretty simple, straightforward sort of place, but what it does it does pretty well. 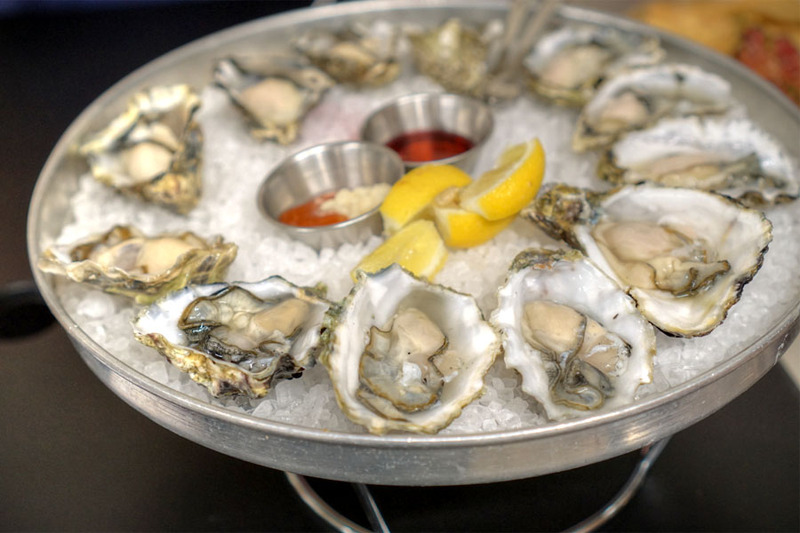 A wider array of oysters would be nice, though I guess the limited selection makes sense given the scale of the place. I see it as an appropriate counterpoint to the heftier fare that you typically find at GCM.